Thanks, same to you. It was hard to maintain the smile, but I did. Ha ha. Merry for All but the wearer! 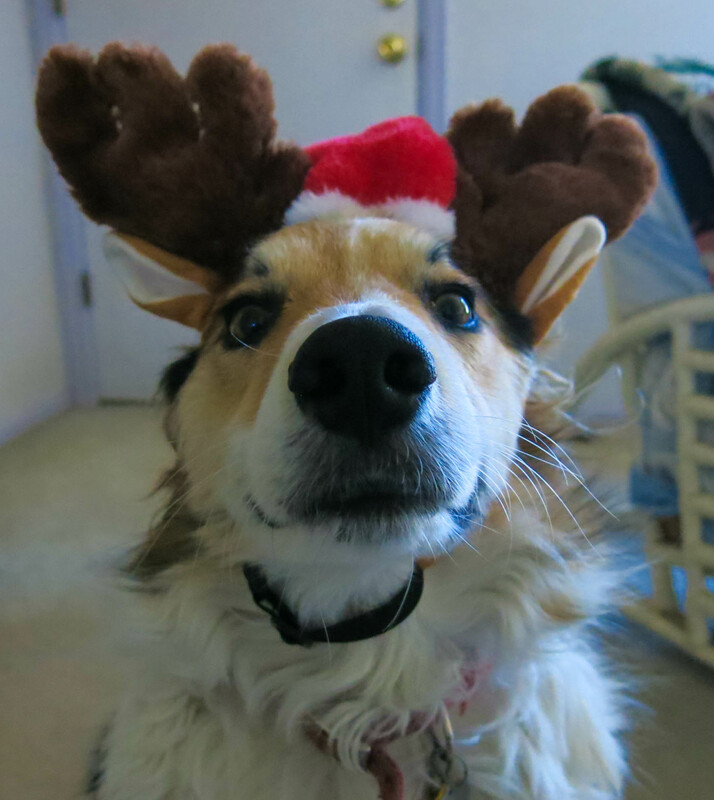 Thank you Mani, and may your Christmas be filled to overflowing with treats! Thanks. The guy I live with says he hopes next year will be easier for you. There’s a couple inches of snow on the ground now, but it’s not very cold. Compared to the North Pole, I hear. Good one, Mani. Say “Hey” to the guy you live with. And have some fun. Thanks, I will. Walks in the snow are pretty fun. Have a great season and new year, Mani and best wishes for your costumer also. A very merry Christmas to you, Mani, and the guy you live with. Many biscuits. Thanks; same to you, except for the biscuits, I guess, unlike you like them. Mani . . . . Seriously . . . . . You should take a long look at your contract. You have made a great effort there Mani. Merry Christmas to you both. Yes, great effort is evident, and we your public are grateful for it. All merrymaking it is to see you smile thus. I’d like to see your grimace one day; simulated, of course. Best wished for this and the coming season to you and the guy you live with. And I agree about the revisit to your contract language, though I should lament to see it altered. Thanks. Best wishes to you, too. My contract just says I have to be three until I turn four.